María P. Aranda is an associate professor at the USC Suzanne Dworak-Peck School of Social Work and the executive director of the USC Edward R. Roybal Institute on Aging. She holds a joint appointment with the USC Leonard Davis School of Gerontology and is a psychotherapist with over 30 years of experience providing mental health services to middle-aged and older adults and their families. Dr. Aranda developed the first Spanish-language support group for families affected by Alzheimer’s disease. She is well-known among community leaders for establishing model support programs such as the El Portal Latino Alzheimer’s Project, Programa Esperanza, and Siempre Viva for individuals and families in East Los Angeles affected by depression and Alzheimer’s disease. Her research specializations address the unique needs of middle age and older adults with co-occurring medical and psychiatric illnesses, and the caregiving families who provide them with love and care. She focuses on psychosocial intervention development, and evaluation of bilingual, evidence-based interventions on behalf of adults with chronic medical conditions and disabilities. She has received funding for her research from NIA, NCI, PCORI, the Southern California-CTSI, The John A. Hartford Foundation/GSA, the National Institute of Rehabilitation and Research, the Alzheimer’s Association/HRSA, the L.A. County Department of Mental Health, and the California Community Foundation. 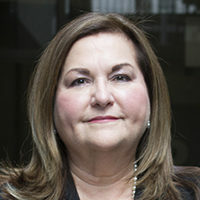 Dr. Aranda has served on four consensus committees of the National Academies of Sciences, Engineering, and Medicine (NASEM) on the geriatric workforce in mental health and substance use service sectors, family caregiving to older adults with functional limitations, financial capacity determination among social security beneficiaries, and functional assessment for adults with disabilities. She currently serves on NASEM’s committee for care interventions for individuals with dementia and their caregivers. She is also an expert on the Caregiving Advisory Panel for AARP and a fellow of The Gerontological Society of America, the oldest and largest interdisciplinary organization devoted to research, education, and practice in the field of aging.